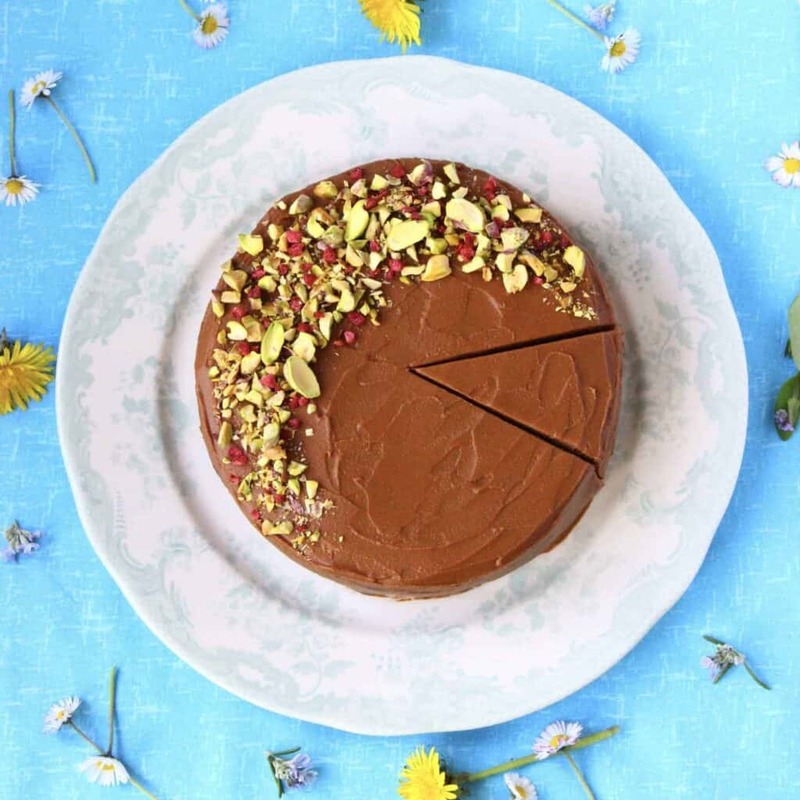 Sinfully decadent yet unbelievably healthy, this Gluten-Free Vegan Chocolate Truffle Cake is guaranteed to be your new favourite dessert! 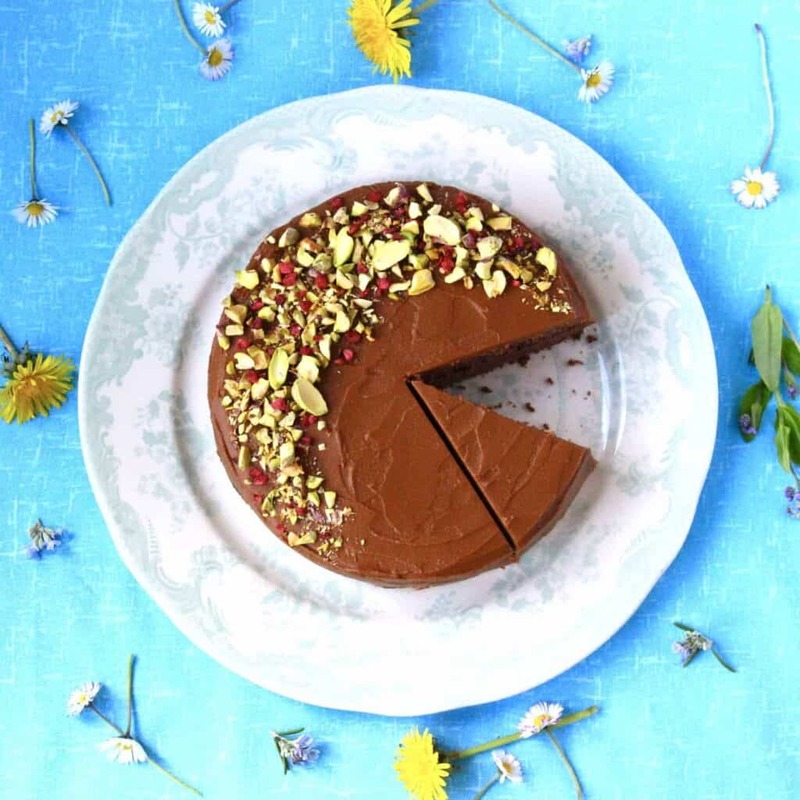 With Easter just round the corner, I thought it was the perfect time to post a recipe for an indulgent chocolate cake based on my latest obsession: truffles. Just like my chocolate truffles, this cake is beautifully rich and creamy, has that crucial melt-in-your-mouth quality, and is perfectly sweet. The base for this Chocolate Truffle Cake is my Chocolate Torte, which is my go-to chocolate cake recipe because it’s super fudgy, perfectly moist, and most importantly really easy to make! 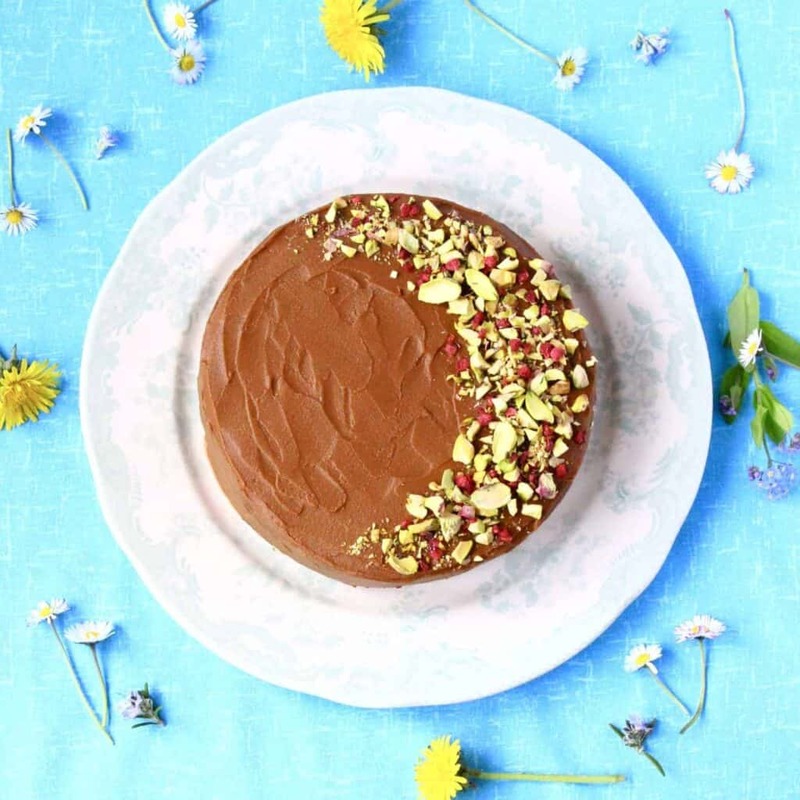 It also happens to be completely undetectably vegan, gluten-free and refined sugar free. AND it’s oil-free optional (consult recipe notes below if you want to do this). I had the idea to create a chocolate truffle cake when I made my Gâteau au Chocolat for my work colleagues, and one of my co-workers said it tasted like a truffle. This got me thinking, maybe I could turn it into a layer cake with a luxuriously smooth chocolate buttercream frosting, call it a Chocolate Truffle Cake, then post it in time for Easter? And so this was actually how my Sweet Potato Chocolate Buttercream recipe was born! As mentioned in that post, I wanted to make a rich and creamy cake frosting that wasn’t coconut-based, nut-based, or god forbid, avocado-based, and so turned to sweet potatoes instead. And I’m so happy that I did! Using vegetables to make buttercream may sound crazy, but the creamy texture and sweetness of sweet potatoes works absolutely perfectly. And you know what, I’ve made this cake for several people now, and I’ve asked them all to guess what the buttercream is made from and nobody can tell, not even when I gave them the clue that it was a vegetable! 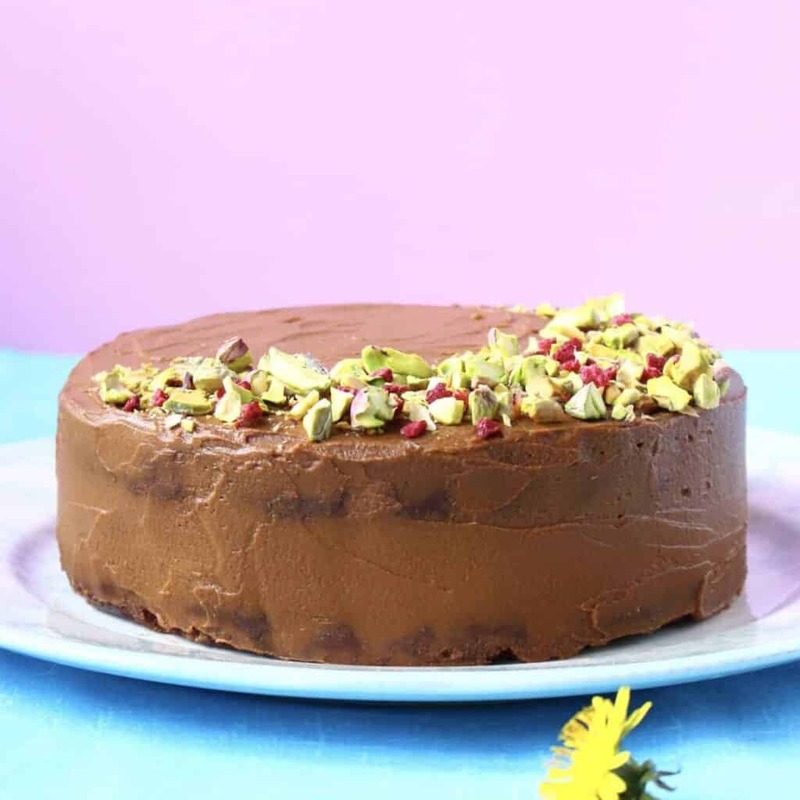 I decorated this cake with chopped pistachios and freeze-dried raspberries, but you know what…a few homemade chocolate truffles wouldn’t be too out-of-place on top of this chocolate truffle cake either! 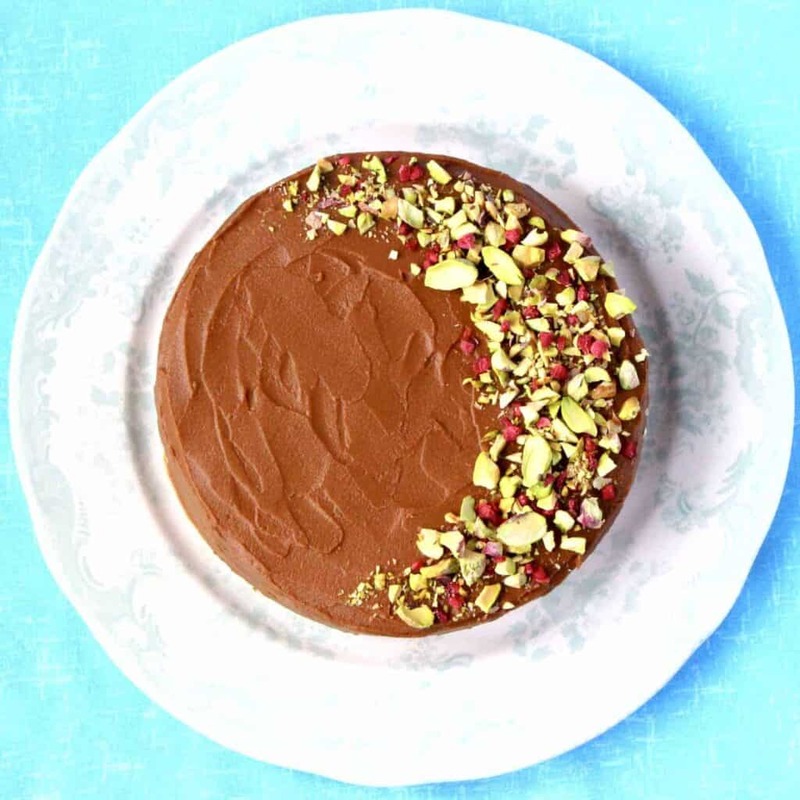 Decorate with chopped pistachios and freeze-dried raspberries or whatever else you fancy! The coconut oil in the buttercream can be omitted, but the taste won't be quite as delicious! Can’t believe this is healthy, it tastes too good! Not sure what I did wrong as I followed the recipe to a T – just made a crumble. I had to add double the milk and 3 eggs only to be faced with a “chocolate Eaton mess”. Oh no, I’m so sorry to hear that! Was there a reason why you needed to add more milk and 3 eggs? Was it having trouble sticking together?